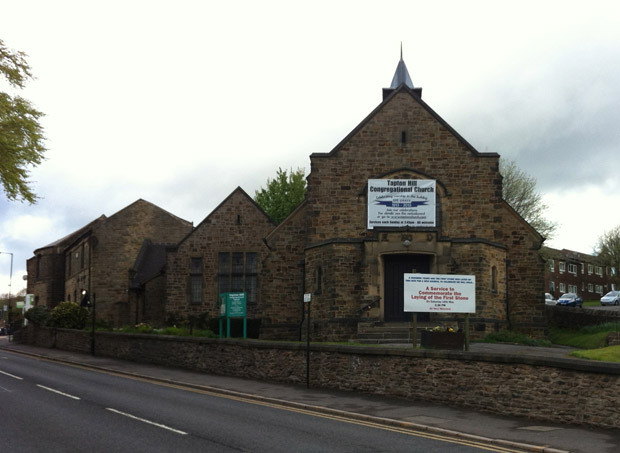 Tapton Hill Congregational Church on is holding a special service to commemorate 100 years since the laying of the first stone on the present site. The service takes place on Saturday 18 May at 2.30pm in the church building on Tapton Hill Road. This entry was posted in churches, crosspool, events, history and tagged 100 years, church service, tapton hill congregational church. Bookmark the permalink.